Orange County Supervisors are right to talk openly about the future of the Civic Center. But they should focus on things like transforming the abandoned bus terminal into a homeless service center before embarking on a building spree. Rep. Loretta Sanchez writes that while our government spends billions of dollars each year fighting slavery and human trafficking through our own borders, far too many victims are slipping through the cracks. The Foothills Sentry reports a much anticipated decision regarding the future operator of the Area 7 sewer system – East Orange County Water District or Irvine Ranch Water District — has been postponed until April. The Deferred Action for Childhood Arrivals (DACA) program was designed to give undocumented immigrants who arrived as children a chance to go to college and get work. But some who’ve had troubles at school or with law enforcement see it as a trap. Santa Ana, Calif. – UNITE HERE Local 11, which represents more than 21,000 hospitality and culinary workers throughout Southern California, has endorsed Joe Dunn for California’ 46th Congressional District, announced the Dunn campaign. “Joe has the strongest record of helping working families and our immigrant communities rise to the middle class,” said Ada Briceño, Secretary-Treasurer of UNITE HERE Local 11. 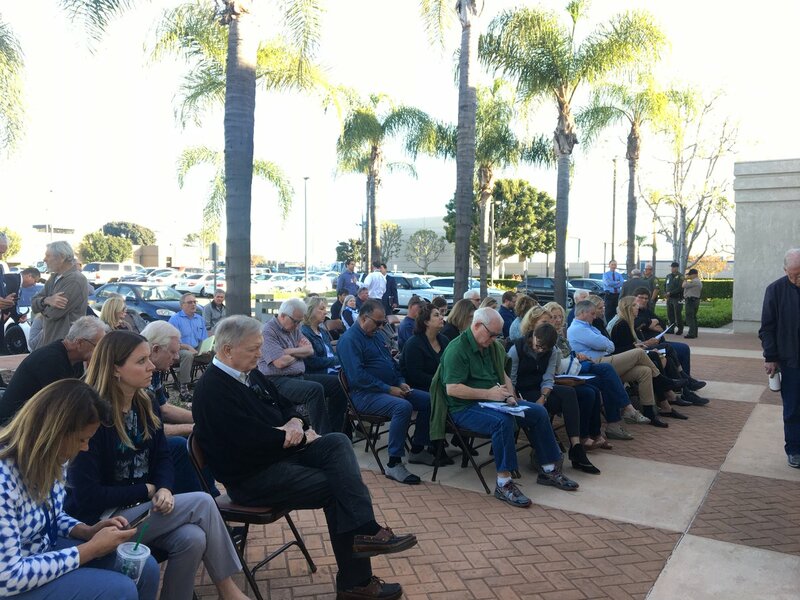 (Orange, CA) The Orange County Board of Supervisors has enlisted the help of JVR Shelter Strategies, LLC, for veterinary and operational consulting services at OC Animal Care to make recommendations for best practices at the current shelter as well as at a new shelter that will be built in Tustin. Supervisors approved a contract with JVR Shelter Strategies on Tuesday, February 23, 2016. The company will review OC Animal Care data to determine staffing and capacity needs for the new animal shelter at the former Tustin Marine base, which is expected to be completed by the end of 2017. JVR also will complete a thorough review of programs at the shelter and make recommendations for best practices to meet the requirements of the new facility. Upon completion, the final recommendations will be shared with the staff, city partners, Board of Supervisors and community partners as part of an outreach effort to develop an implementation plan. The Superior Court judge ruled Thursday that District Attorney Tony Rackauckas’ team violated the constitutional rights of a man convicted of killing pregnant Fullerton woman by not disclosing information about an informant.